A nature lovers dream! 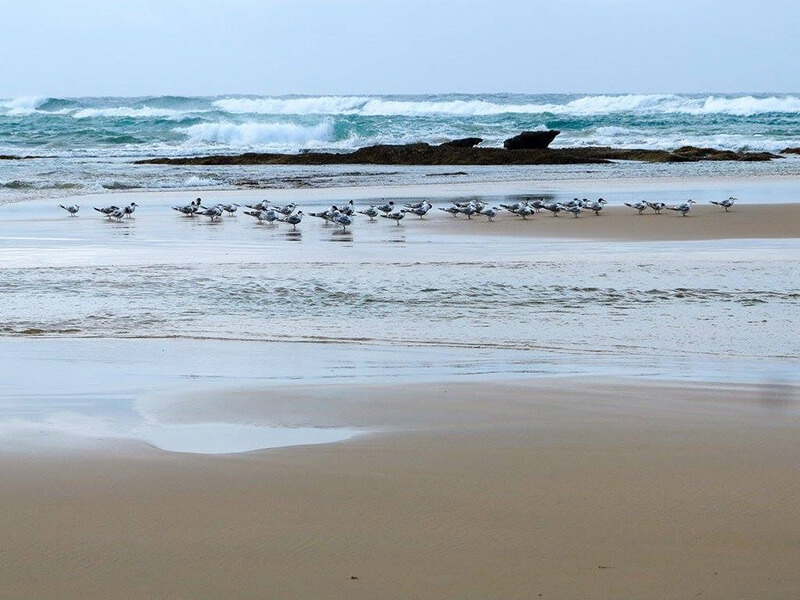 If you are looking to connect with nature and find peace and tranquility while enjoying life's luxuries then Anvil Bay is the place to be. 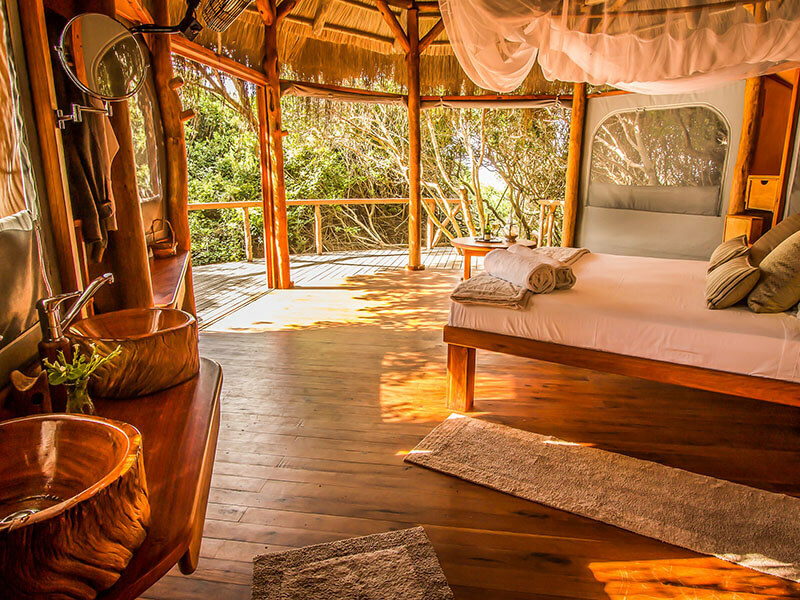 Located in Mozambique's most southern national park, Maputo Elephant Park, along miles of unspoiled coastline. 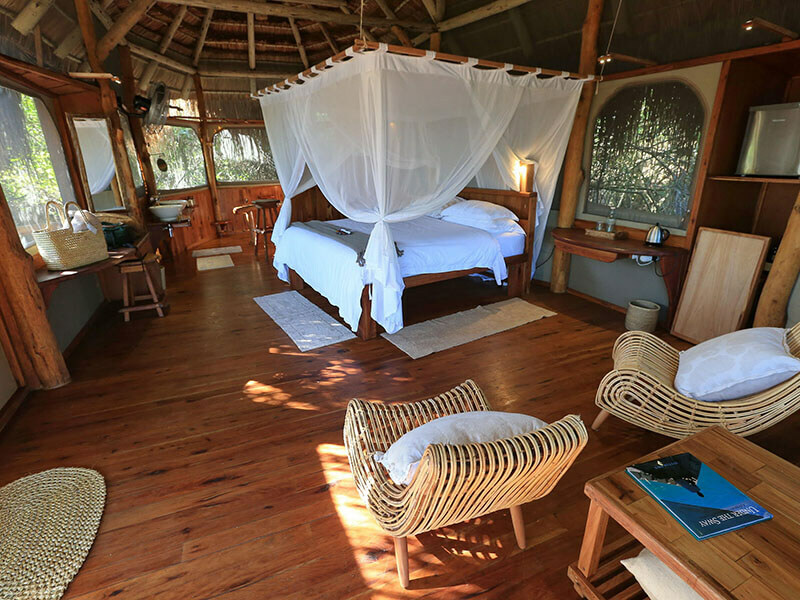 The accommodation consists of Casinhas nestled in the forest canopy, built using natural materials by local craftsmen. Spend your days on overland Safaris, enjoying the various sea adventures or just kick back and relax on the beautiful private beach. 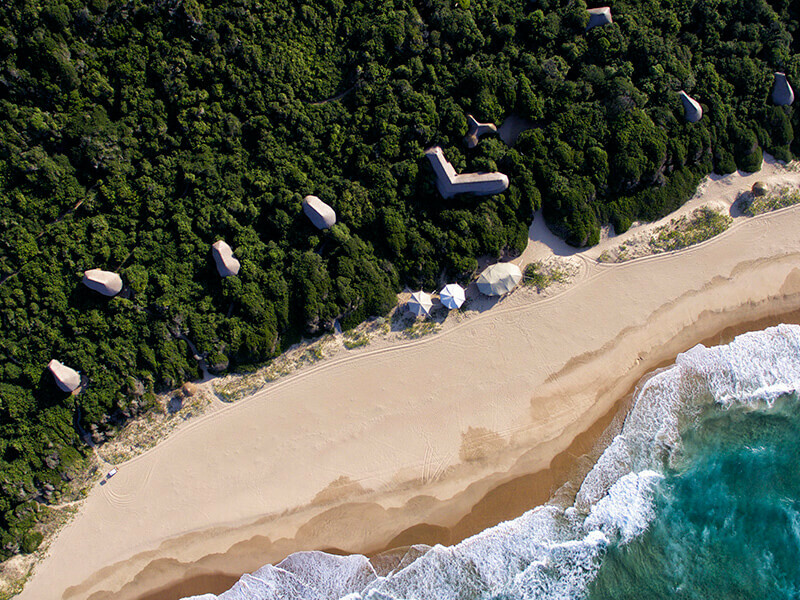 Discover a tranquil haven right inside the wilderness of the Maputo Special Reserve in Southern Mozambique. 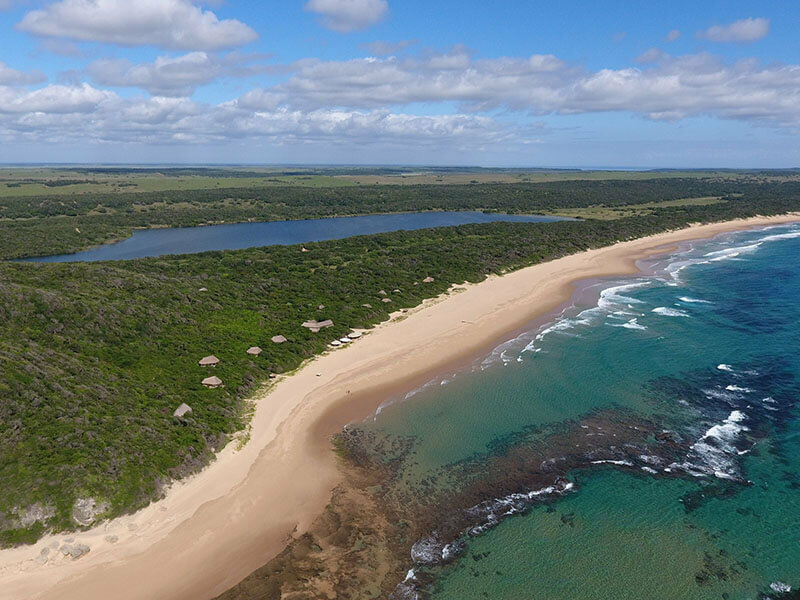 Anvil Bay, Chemucane, has been built with as little disturbance as possible on the natural environment and is, therefore, an exclusive hideaway for discerning nature lovers. 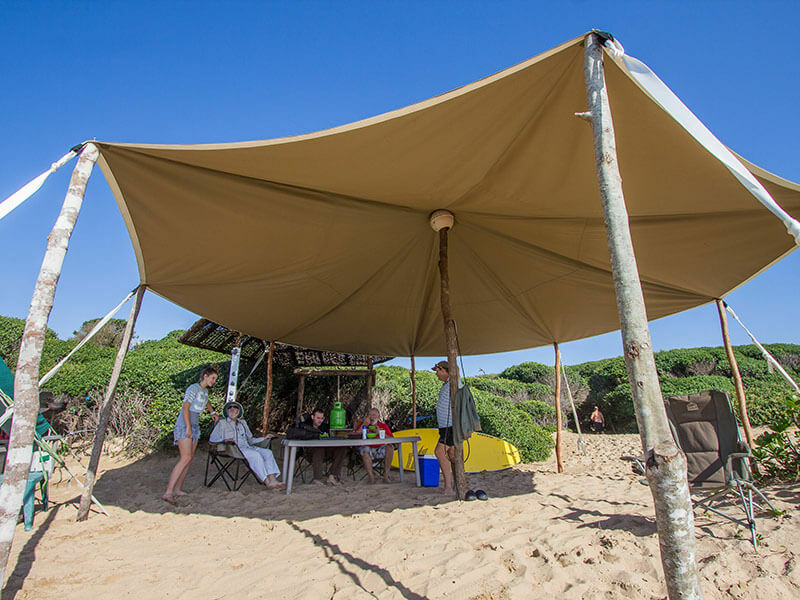 Enjoy stylish chalets or Casinhas hiding in the lush dune forests a few metres from the white sandy beach at Anvil Bay. You will find everything you need here, in this luxurious hideout in the middle of nowhere, where the wild animals roam: fine linen, large beds, indoor and outdoor showers, Wi-Fi, a mini bar, private deck and your own dining area for plenty of romance. 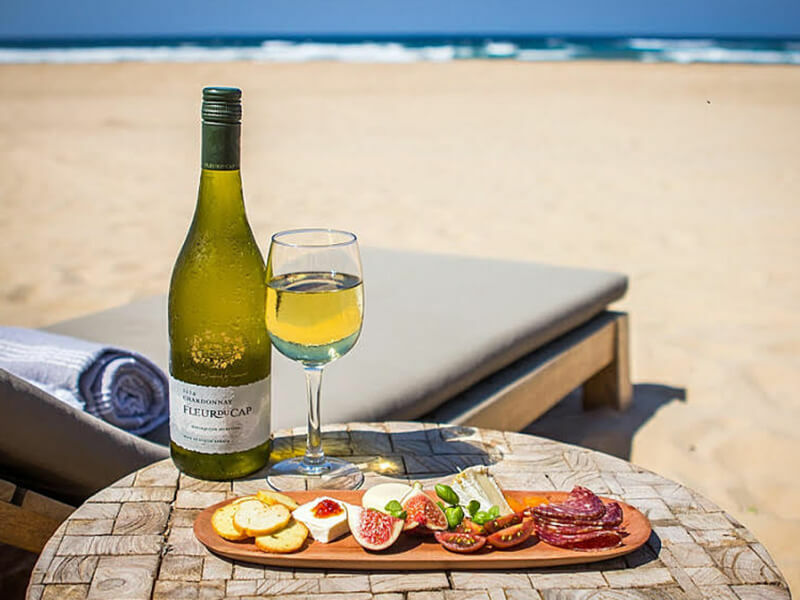 Feel right at home here in a lodge where only you and your friends or family can stay for an exclusive holiday in a Mozambican beach paradise. 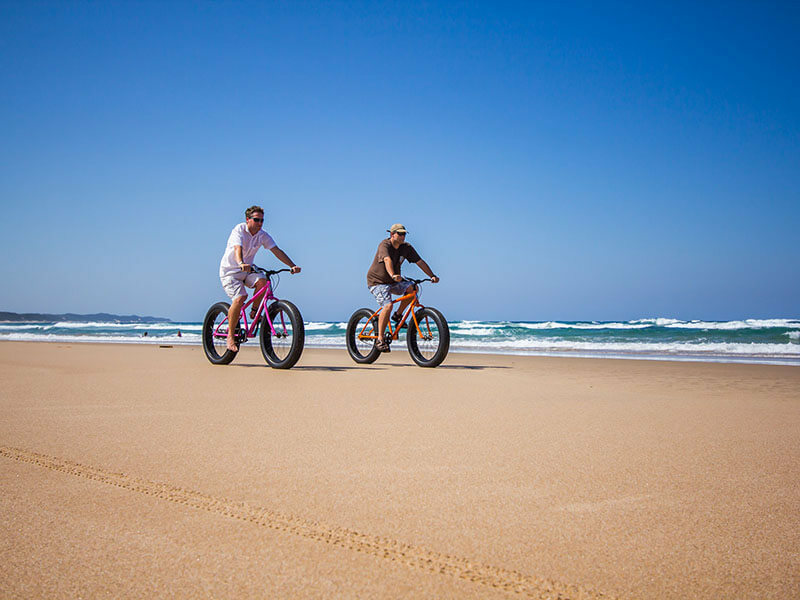 See the elephants, turtles, whales, dolphins and plenty of birds as you relax and tune into nature – walk along pure white beaches and take up a new water sport. 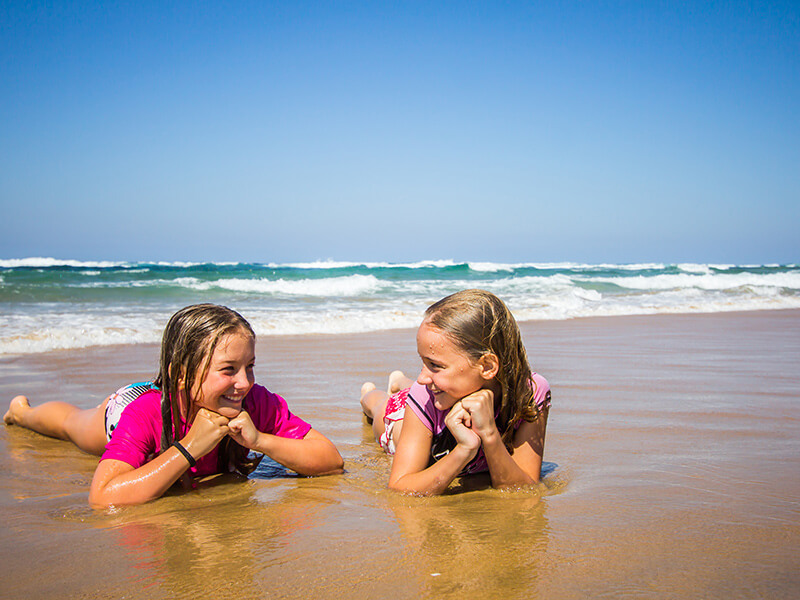 Stand up paddle boarding, body surfing, wind surfing, sea kayaking and snorkelling will fill your days with wonderful activity and sights. 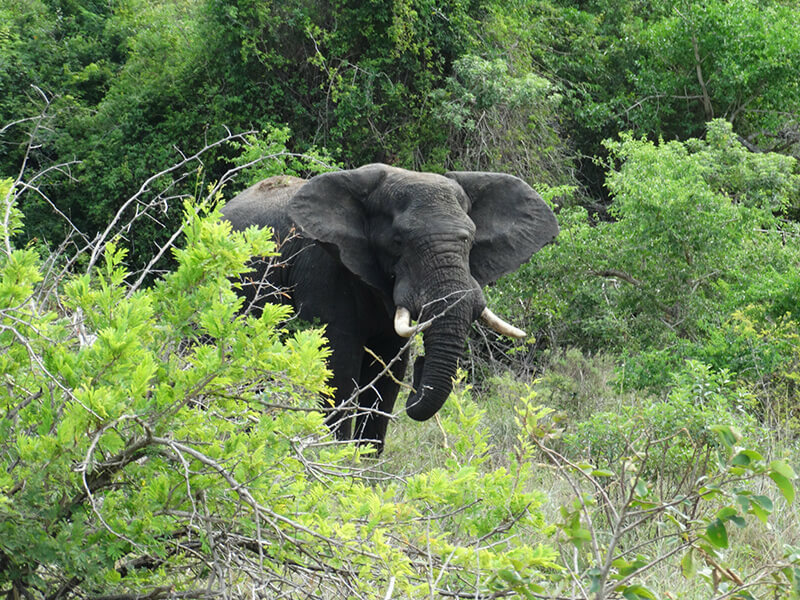 Rejuvenation of mind and body in the Maputo Elephant Reserve! Find the reserve on our map here. Get to Anvil Bay the easy way, the most popular way, by helicopter, direct from Maputo International Airport. This 20-minute transfer costs an extra US$1 000 one way for a maximum of 3 adults and includes park entrance fees but guests must stay at Anvil Bay for 2 nights minimum. 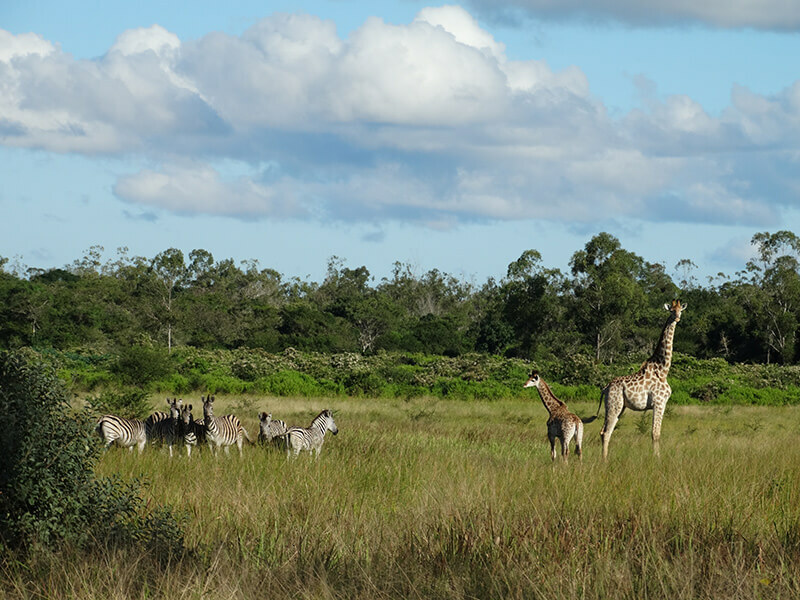 The longer way to get to this extraordinary destination in the wilderness is by road – either by guided Maputo Safari Tour where you also get a guided tour of the Maputo Elephant Reserve and breakfast and you pay US$ 640 per vehicle if there are 7 of you travelling this 5-hour route. Travel from the Kosi Bay border is faster, taking 3 hours and costing US$350 for 4 passengers in one vehicle. 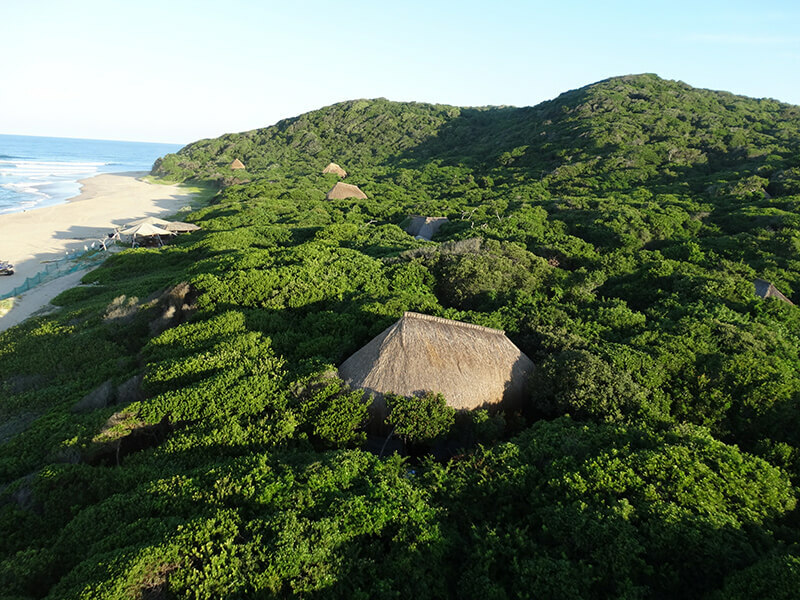 Many guests like to self drive, from Maputo or Kosi Bay border posts, taking their time to explore Mozambique. Remember to drive a 4×4 vehicle and if you do get stuck you will be rescued by the lodge for US$200.